CULTIVATE leaves Vyner Street for this weekend, we do like to move about now and again. 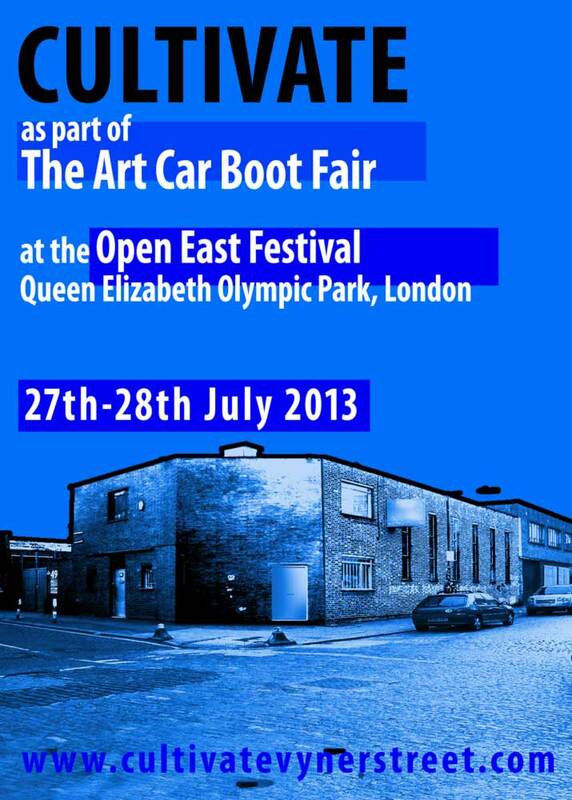 This weekend you’ll find Cultivate at Open East Festival and the open of the Queen Elizabeth Olympic Park in East London, as part of the Art Car Boot Fair We’ll have art and such from Sean Worrall, Emma Harvey, Sixone Six, Lewis Bannister, D7606, Julia Maddison, Michelle Mildenhall and more…. We’ll be back in Vyner Street next week.